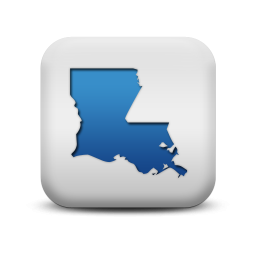 Find Louisiana workers compensation forms and employer help guides. At Workers Compensation Shop.com we attempt to offer free access to Louisiana's workers' compensation forms, applications and guides. We strive to keep our library as up to date as possible. As with all the information we provide about state workers comp rules please verify the accuracy of this information with the Louisiana Workers Compensation Administration. If you have questions about a workers comp form feel free to contact a specialist at 888-611-7467. 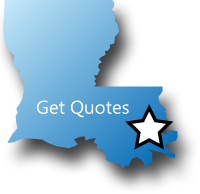 We want to be your source for workers compensation information, rates and quotes in Louisiana. The standard Acord 130 application form for workers comp coverage in Louisiana. Complete this form if you are a workers' compensation insurance company that is interested in doing business in the state of Louisiana. A document outlining the employees that are exempt from workers' compensation coverage in the State of Louisiana. Poster containing information about workers compensation in Louisiana for workers and employers. Employers must tell their employees they carry workers’ compensation insurance by providing a written notice of coverage to new employees upon hire. Employers must also post a written notice at their place of business telling their employees they carry workers’ compensation insurance. The notice must be in English, Spanish, and any other language common to the employees. The poster must be posted at conspicuous locations at the employers’ place of business. Workers compensation insurance is required by law for Louisiana employers. Louisiana forms and applications such as owners inclusion or exclusion forms are sometimes updated by the state. Contact us if you need help or can't find the workers compensation form your need for Louisiana. WHY SHOP LA WORKERS COMP WITH US? At Workers Compensation Shop.com, we specialize in workers comp coverage. Because of this specialization, we know about industry specific discounts, rebates and programs that can help your business get the best price on the most complete coverage. Give one of our Louisiana workers compensation specialists a call today at 888-611-7467 for a free, no-obligation quote on workers compensation insurance.